Bulletbelt has been striking fear into New Zealand audiences since 2009. The Wellington based band crafts tunes that draw from black metal’s vicious realms, with cutthroat and meteoric traditional metal, torrents of thrash, and biting second-wave punk all added in to sharpen the razor. 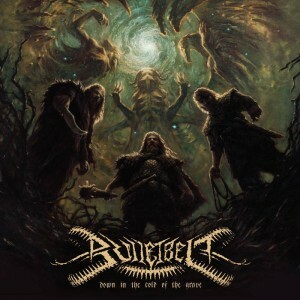 Accordingly, fans of Bulletbelt range from patchvested veterans to kvlt aficionados and gutter punks, and the reason the band holds that crossover crowd transfixed is simple: Bulletbelt adheres to metal’s fundamentals, and its unbridled enthusiasm for the genre’s essential aesthetic strengths is obvious. Bulletbelt is aggressive and impassioned, and in 2012 all of that was captured on its ferocious debut full-length, ‘Down in the Cold of the Grave’. Recorded at STL Audio, on the studio’s vintage SSL 4000G console, and featuring the artwork of award winning NZ artist Nick Keller, ‘Down in the Cold of the Grave’ featured seven tracks of battering aural punishment and drew strong reviews at home and abroad. 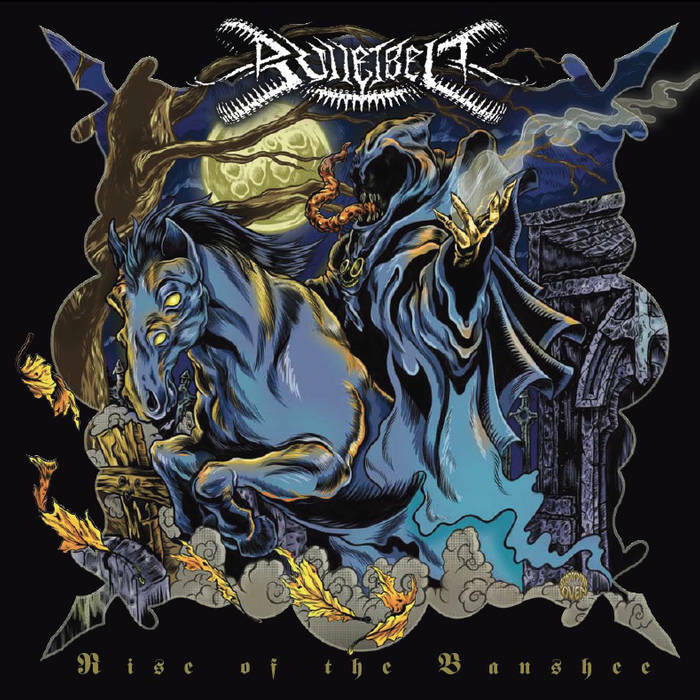 In 2014, Bulletbelt returned with its highly anticipated new album, ‘Rise of the Banshee’. The release is one of the most triumphant metal albums ever released from New Zealand’s shores. 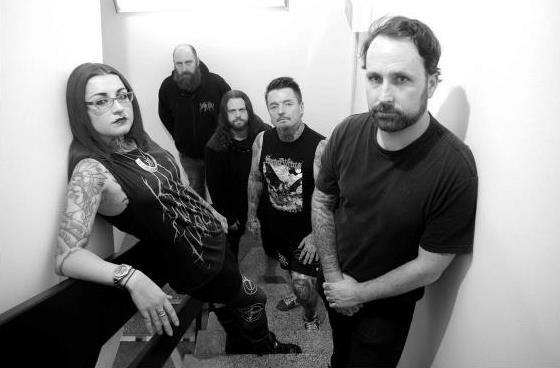 It features a more intricate, expansive and savage sound from Bulletbelt, and includes the band’s first recordings with powerful new vocalist Jolene Tempest. Tempest joins a crew of New Zealand metal stalwarts, including whirlwind bassist Tim Mekalick; guitarists Ryan O’Leary (exBackyard Burial) and Ross ‘Rots’ Mallon (Pervertor); and former Karnage and Demonic drummer, and current sticksman for ‘Red Dawn’, Steve ‘Cleaver’ Francis. On ‘Rise of the Banshee’, the band holds back none of its myriad influences. Along with the wickedly baleful vocals of Tempest, the album features the punked up thrash attack of “Deathgasm”, blackhearted anthems like “Murderer’s Collar” and “Minnie Dean”, and a blitzkrieg cover of “Sniper” (originally performed by NZ metal legend The Nod). Rise of the Banshee also features classic metal cover art courtesy of cult New York illustrator Scarecrowoven. Bulletbelt has toured Australia and New Zealand and played numerous support slots with visiting international acts, including Sepultura, Psycroptic, The Black Dahlia Murder, Impiety, Bolzer, Tragedy, Rotten Sound, Midnight, Municipal Waste, Ringworm, Paul Dianno, and Primate. 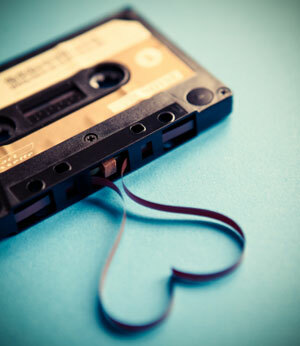 Cover sourced Bandcamp. Promo material courtesy of Bulletbelt. Interviews courtesy of RNZ. Used with permission.